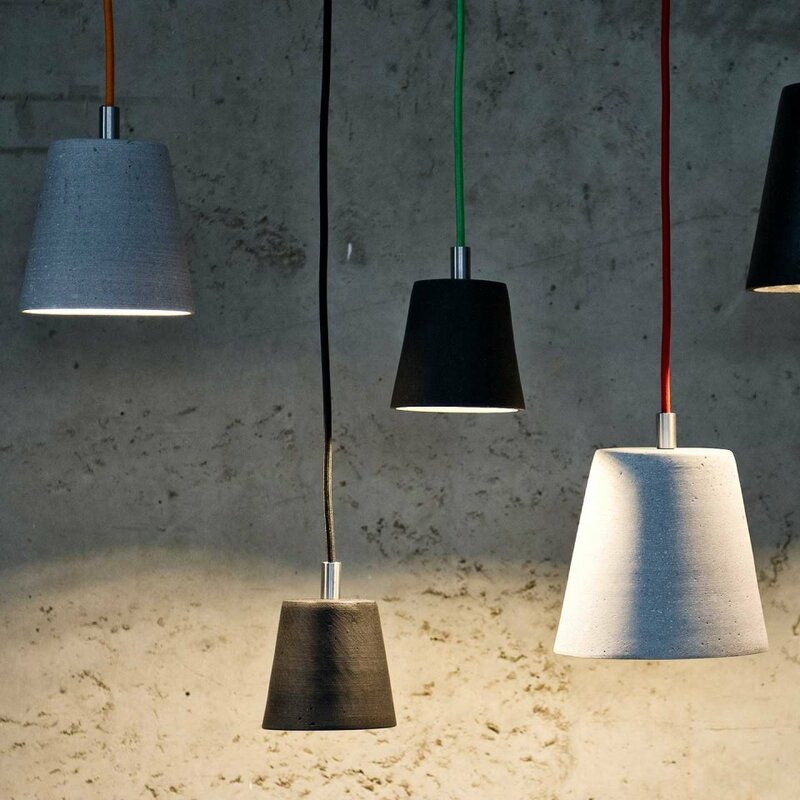 LightPot© is a pendant light in a minimalist and modern concrete look. 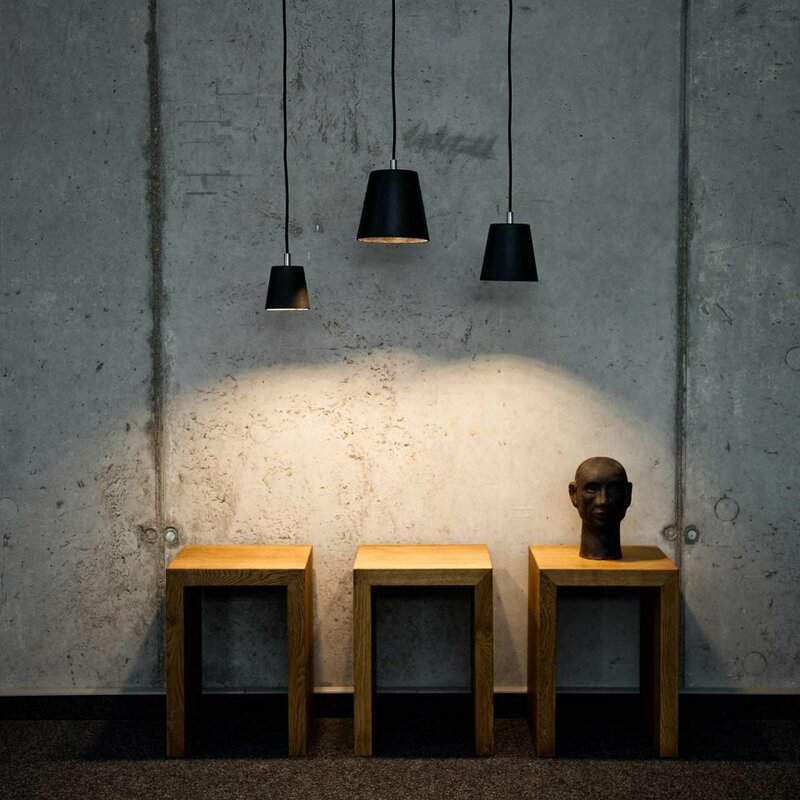 Alone or in a group, LightPot© illuminates its surrounding in a stylish way. 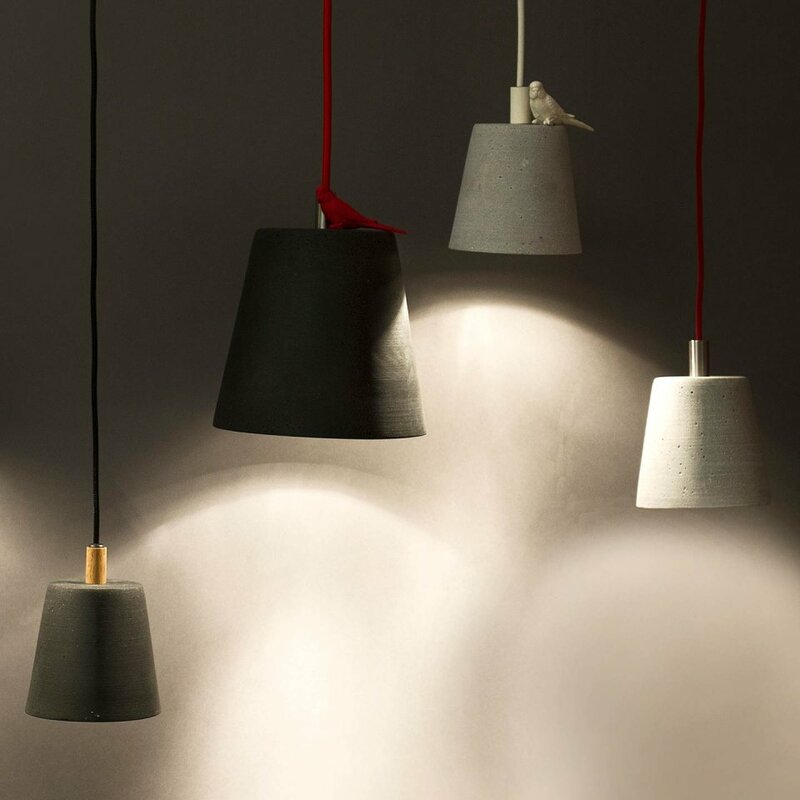 LightPot© is available in the sizes: ‚small‘, ‚medium' and ‚large'. 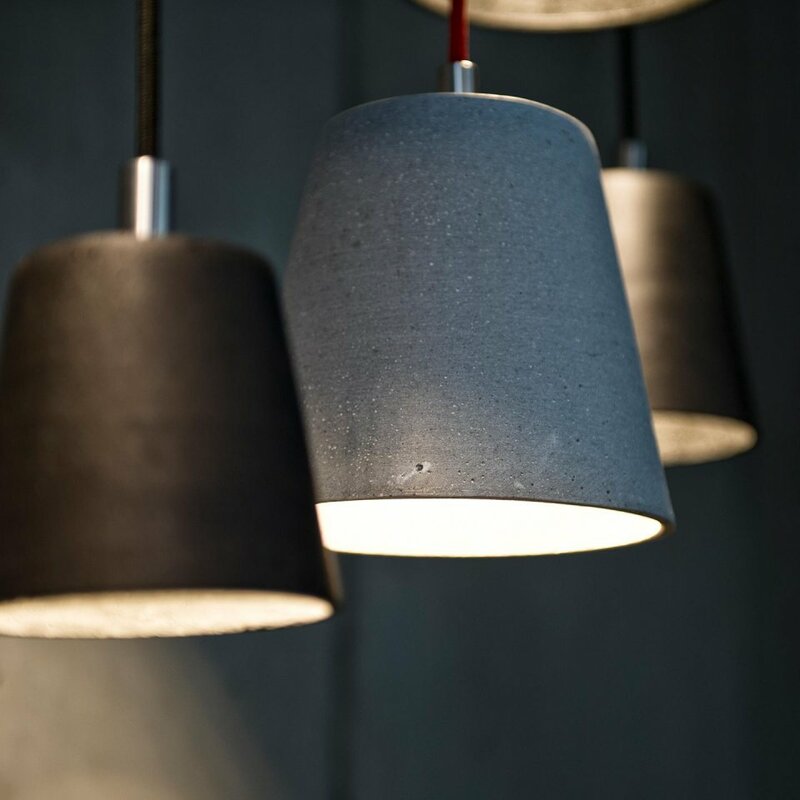 For the concrete colors ‚natural ' and ‚anthracite' can be selected. 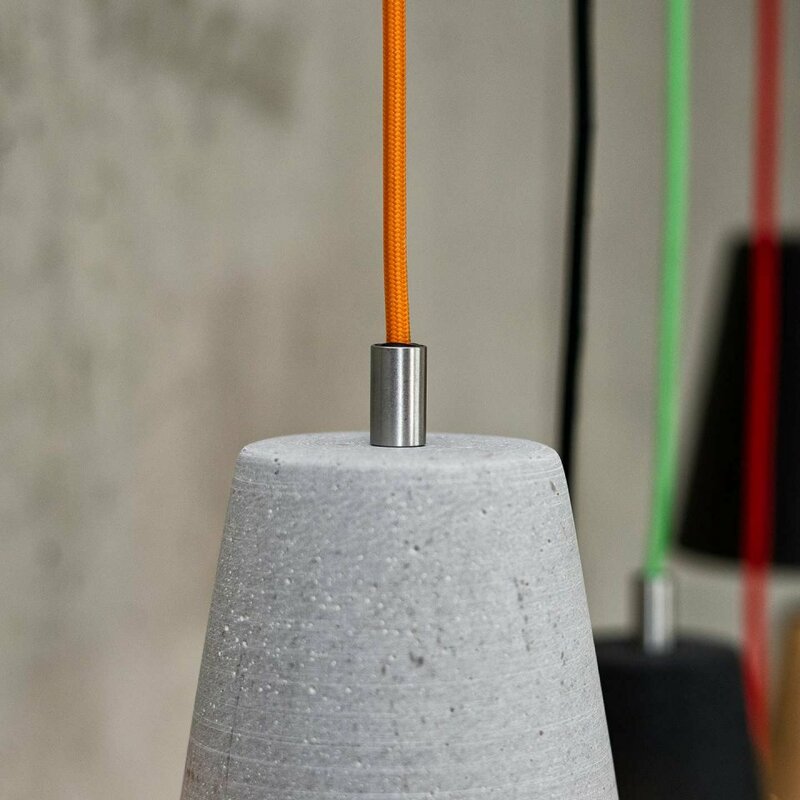 Different energy-efficient bulbs can be used in the GU 10 bulb socket. 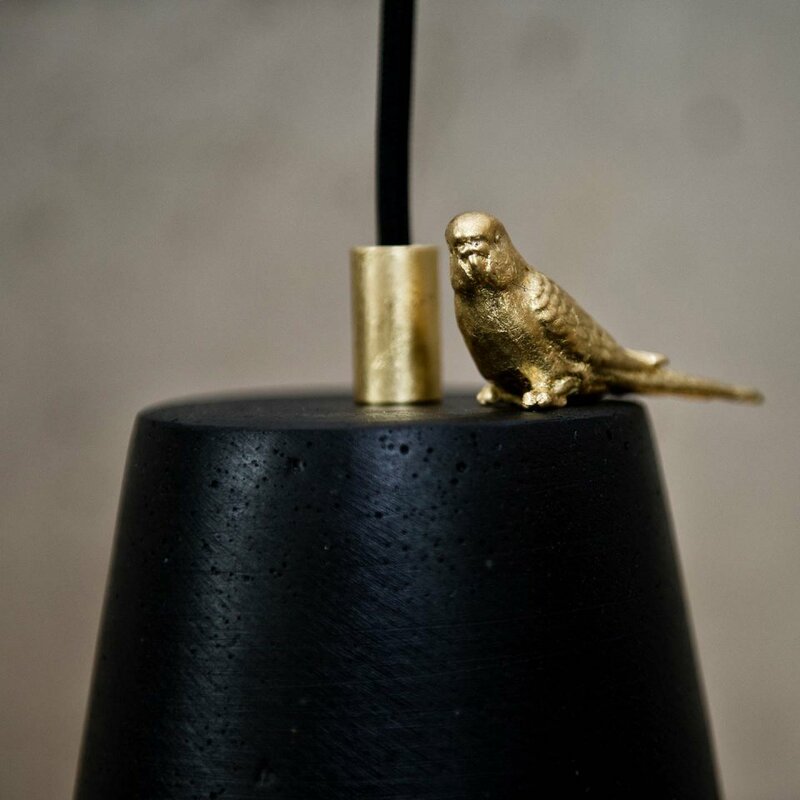 The "Gold Edition" from LightPot© comes with a golden bird and golden cable sleeve. The high-quality, fabric covered is approximately 125 cm long and available in various colors. The canopy is in an unobtrusive black design.